The call of Ramadan is to return to the Qur'an and for me personally, the best discovery I was led to discover by God this Ramadan was the works of Sam Gerrans: The Qur'an: A Complete Revelation. All praise and thanksgiving is for God. Sam Gerrans is an English writer and speaker with professional backgrounds in media, strategic communications, and technologies. He is driven by commitment to ultimate meaning, and focused on authentic approaches to revelation and Realpolitik. He has made a detailed study of Qur’anic Arabic, and conducted an exhaustive and systematic analysis of the Qur’an’s contents. On the basis of that analysis, he both believes the Qur’an to be from God and regards the Islamic religions as later human inventions. He is author of The Qur’an: A Complete Revelation, where his consistent, Qur’an-centric hermeneutical methodology is applied to the text of the Qur’an in its entirety. He is founder of Quranite.com where you may download his full translation and analysis of the Qur’an – which runs to 536,000 words – free. 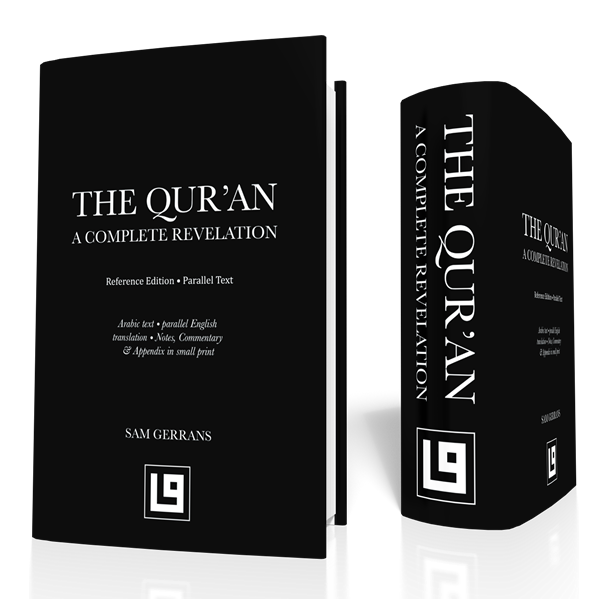 Below is the audio book version of The Qur'an: A Complete Revelation read by Sam Gerrans himself. I strongly recommend the translation and what Sam Gerrans have discovered through his almost 20 years of study of the Qur'an. I don't necessarily agree blindly everything that Sam is proposing in his non-traditional (without relying on Hadith), non-sectarian and pan-textual analysis of the Qur'an, I align mostly with his findings. I am also not advocating you should accept everything blindly. Visit Quranite.com to download the book for free or order a physical copy of the book. I believe his methodology holds a lot of value and will help provide a fresher look at the Qur'an and also help better understand God's plan for mankind. Kudos to Sam Gerrans for this work. This is very valuable and was much needed. God bless him and his work. 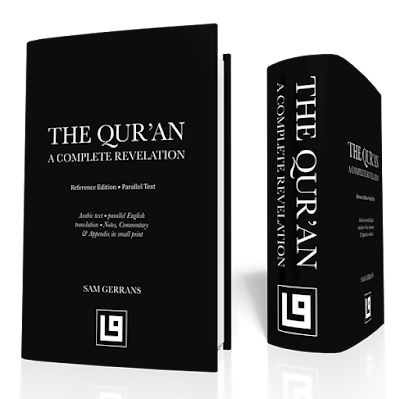 Sam Gerrans' The Qur'an: A Complete Revelation is a very praise worthy work and needs greater attention by both muslim and non-muslims alike who is interested in knowing God's will.